A Fête Worse Than Death – Heretaunga Players Inc. 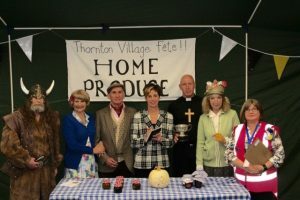 Plot Summary: Actor Jean Martin is opening the village fête, playing on her fame as TV’s Inspector Brady. Little does she know that ambition, infidelity and marrow envy will lead to murder, and she’ll be left to solve the murder – without a script!